California is in a drought - be waterwise! 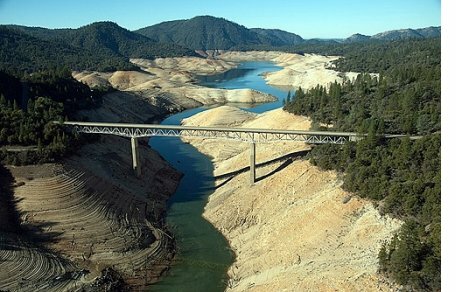 California is in a serious drought and lakes and aquifers are at record lows. Save water by planting drought tolerant plants, reduce your watering to a minimum, water at dusk to reduce evaporation, do not allow run off when watering lawns. Do all you can or we may run out of water! It has been a hot summer and fall may not be any cooler. September (as well as October) can be tricky with wide variations in the weather. Usually we will have a Santa Ana weather condition or two, so pay extra attention to your yard when the weather gets hot and dry. Hopefully by the end of the month, temperatures should be stabilizing and the weather should not be as hot as we head into our fall. Garden Prep: Mulching is the key to keeping plants happy during hot weather. Mulching to about 3-4 inches in depth, keeping the mulch away from the trunks of your plants, keeps water evaporation down to a minimum, helps insulate roots, keeps soil temperatures more constant, and discourages weed growth. Having a closely planted flower bed also serves the same purpose, with the leaves of one plant shading the roots of its neighbors. There should be very little bare earth showing between plants and shrubs. 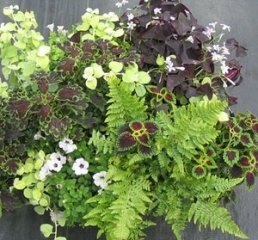 If you have a new planting why not plant some temporary, fast growing ground cover plants such as Bacopa or Sweet Alyssum in the spaces between the new plants? Clean out garden debris, dead flowers, fallen fruit and leaves to keep the insect populations in check. Probably the biggest job in September is preparing the soil for fall planting during the next two months. Soil prep is very important to the health of our plantings. It’s worth taking the extra time and money to prepare the soil for the payoff you’ll get down the road. Once you’ve cleaned out and amended, let the bed rest for a couple of weeks if you can. Turn the soil, water deeply, and wait a few weeks for weeds to germinate. Weed out these opportunists! Think: Turn…Water…Wait…Weed. Add a 3 – 4 inch layer of organic material: home-made compost, purchased compost or planting mix. Add an all-purpose plant food and turn in well. This month and next are the big pruning months of the year. It’s the time to really clean out by heavy pruning drought tolerant plants as they finish their last few months of spectacular growth. Clearing them out now will give them a good head start for winter and the new growth will be much more vigorous. Force your remaining summer crops by pinching off new blossoms on melon, squash, eggplant, and tomatoes. This will force plants to ripen fruit already on the plant. Cut back established alyssum, coreopsis, marguerite and Shasta daisies, delphiniums, dianthus, felicias, gaillardias, geraniums, ivies, lantanas, lobelias, petunias, and santolinas to one-third or one-half of their present size. However, don't cut them back beyond the green foliage to the older woody growth, as this may kill the plant. Planting - Fall is a great time to plant just about everything, (see side bar on right) except tropical plants. It’s time to get sweet pea seeds started for a winter bloom. Look for early blooming varieties. Spring and summer flowering types won’t bloom until the days are more than 12 hours long. Soak the seeds over night to soften the outside layer. Winter Veggie Seeds: Start small batches and then every three weeks start new batches, so you have a staggered harvest schedule down the road. We now have the 2015 Botanical Interest seeds in stock with many new varieties. Also, we know the Santa Ana hot weather is coming. Keep seedbeds moist and shaded from hot afternoon sun until the seedlings develop two to four true leaves. Stagger your plantings so if your first batch or two of plantings get fried, all is not lost. Try sowing seeds in small containers so that you can keep an eye on them. We have seed starting trays in stock as well as bio-degradable seed pots. Transplant into the ground once the plants have leafed out and are at least 4" high. After transplanting them, mulch the soil lightly, adding more in October and November. Keep the mulch an inch away from the plant stems, however, for good air circulation and less potential for disease problems. 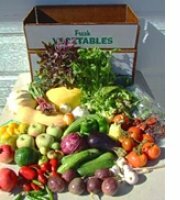 Winter Vegetables to plant now: Beets, Broccoli, Brussels sprouts, Cabbage, Carrots, Cauliflower, Celery, Kohlrabi, Lettuce, Oriental greens, Peas, Potatoes, Radishes, Spinach, Sugar snap peas, Turnips. Sow or transplant two or three times the amount you would for spring harvest, as these overwintering crops will grow slowly, and your harvest will be reduced. When green leafy plants are three or four inches in size, they are mature enough to be harvested throughout the fall, winter, and early spring. 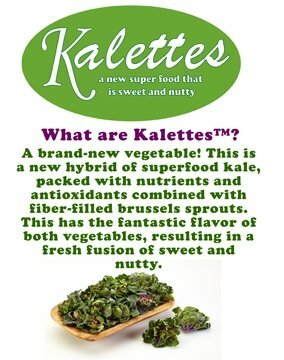 In stock soon will be the new KALETTES (see below) as well as Brussels Sprouts and Kale superfood hybrids. Perennials: Spring and summer-blooming perennials such as agapanthus, coral bells, Shasta daisies, daylilies, phloxes, and yarrow can be dug up and divided now through early fall. Use the extras to fill in bare spots in your yard, or share with your neighbors and gardening friends. Keep them watered regularly for the next few months while they are getting established, but do not over water... the Golden Rule is: if the soil is already wet, DO NOT WATER! Flowers From Seed – these can be sown any time this month: African daisy, Alyssum, Bachelor button, Bells of Ireland, Calendula, California poppy, Candytuft, Canterbury bell, Carnation, Chrysanthemum, Cineraria, Clarkia, Columbine, Delphinium, Forget-me-not, Foxglove, Gerbera daisy, Godetia, Hollyhock, Iceland poppy, Larkspur, Linum, Mignonette, Nicotiana, Pansy, Phlox, Scabiosa, Shasta daisy, Snapdragon, Stock, Sweet Pea, Sweet William, Verbena, Viola, Wildflowers. Flowering Plants - These can be planted now for long lasting fall color: African daisy, Alyssum, Calendula, English daisy, English primroses, Gerbera daisy, Iceland poppy , Pansy, Penstemon, Primula malacoides, Snapdragon, Stock, Viola. Trees and Shrubs - plant new trees and shrubs while the soil is still warm, to encourage the roots to get established before going dormant for the winter. Trim off deadwood and water sprouts (quickly-growing upright shoots), but leave major pruning of young trees for January, when the trees are dormant. 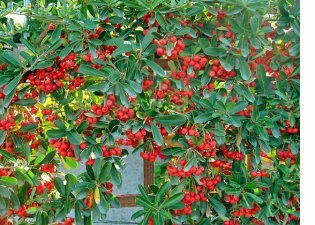 • Shiny red and orange berries are a sure sign of fall, and provide essential food for birds during the winter. Shrubs with colorful berries to plant now for fall and winter accents include abelia, barberry, holly, bottlebrush, oleander, pyracantha (left), quince, and virburnum. Pyracanthas are relatively fast growing, can be trained against a wall or grown as a tree and provide interest all year round with cascades of white flowers in spring, green berries in summer and red or orange berries all fall and winter long. 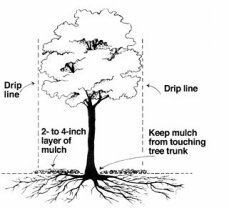 • Continue to give your trees and shrubs infrequent deep watering while it’s still hot out. Every few weeks is good and deep watering with a hose or bubblers will pay off with healthy trees and deep roots. Don't forget to water trees mainly AT THE DRIP LINE, not at the trunk or you may encourage fungal diseases to invade the tree. Add mulch at the base of the tree but be careful to keep mulch away from the tree trunk. • Decide what you want from a tree - where it will be planted and for what purpose. If you want summer shade for the house, a deciduous tree planted on the south side would be appropriate. If you prefer a pleasant window view, a grouping of silver birches might be nice. Let us help you choose the right tree. 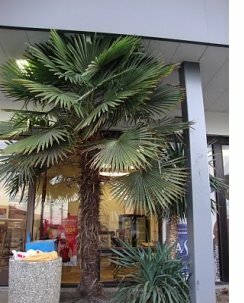 If we do not have it in stock we can order it in for you at no extra cost • This is the perfect time of year to plant a tree to beautify your yard--the roots will get well established before they go dormant, ready for the spring surge of both foliage and root growth. Fall colors come alive with many trees, including birch, coral tree, gingko, liquidambar, magnolia, maidenhair, Japanese and other maples, crape myrtles, persimmon, and sour gum. Once you've made a preliminary choice, consider the mature size of the tree - does the area allow the tree sufficient space when it's mature? Pay attention to this detail as removing a mature tree that has outgrown its space is no easy job. Have you planned for the different needs of the shaded and moist soil underneath its widespread limbs? What about the roots? Will they grow into your underground pipes and destroy your plumbing? When all these considerations seem to fit, purchase it and plant it. If your garden is a windy corridor avoid planting trees that are prone to wind damage. These include acacia, ash, cypress, elm, eucalyptus, liquid amber, California pepper, and pine. Fertilizer: Always make sure to water first before fertilizing, preferably the day before, especially during hot weather, or you will risk burning the plants’ roots. Feed citrus for the last time this year. Pale green new citrus leaves may need a dose of liquid chelated iron or a solution of fish emulsion and kelp. Roses can be fed one last time this year with a half strength dose of fertilizer. The exception is the Iceberg rose which blooms all year round and so needs feeding regularly all year round. As the buds set on your azaleas and camellias, feed them with an acid fertilizer tailored to their needs such as Growmore Soil Acidifier. If you are ready to promote bloom spikes on your cymbidiums, it’s time to switch to a lower nitrogen fertilizer. Higher phosphorous and potassium fertilizer such as Growmore 6-30-30 will encourage bloom spikes . Pest & Disease Control: If you see little white moths flying around your cabbage, Brussels sprouts, and broccoli, watch for their cabbage looper caterpillars and spray with Bacillus thuringiensus. 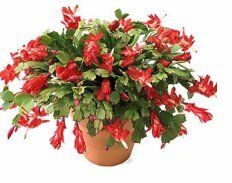 Houseplants - Bring in houseplants from their summer breather outdoors after grooming them and thoroughly checking them for pests. This is a good time to re-pot them in fresh potting soil. To mitigate possible over-watering we recommend using cactus mix. Toss the "old" soil out into the garden or onto the compost pile. Keep the plants in a bright area indoors for three weeks to let them gradually get used to the darker, warmer, and drier indoor conditions. Then move them to their winter homes--but away from drafts and heaters. buds on your plant. It’s not an exact science but hopefully this will have your plant in bloom for the holidays. Continue replenishing your compost pile with plant trimmings. Spent annuals and vegetables add a lot of bulk now, along with grass and other garden clippings, and non-greasy trimmings from the kitchen. But leave out plant material that is obviously infected with diseases - destroy or dispose of this instead. Chop up bulky items to help them decompose faster. Layer greenery with a bit of soil and dry matter. Keep the pile moist but not waterlogged, and turn it or loosen it up every other week or so to let in air. Save the stalks of tall sunflowers, stripped of their branches and leaves, to use next year as trellises for peas and beans. Gardening can be immensely satisfying if you get past some of the blunders that we all make. While we can't force the weather to do our bidding or always keep the neighbors' dog out of the garden, we can examine what some of those blunders are and how to avoid making them. Those new to gardening need some triumphs early on to foster a passion for growing. Here are some strategies to stay out of trouble. You have cleared an area of grass, and plopped your vegetable seedlings in, watered, and walked away. As the season progresses, you wonder why your plants are just kind of sitting there. They're alive, but they're not thriving, and the bountiful harvest you dreamed of is just not happening. What is the problem? - You didn't prepare the soil first! Your garden will only be as good as your soil and once you have spent thousands of dollars on plants and spent hours planting everything, it will be too late to go back. New gardeners are often anxious to get plants in the ground and do not want to spend time and money on the soil. However, soil preparation is a vital first step to a successful garden whether you're growing vegetables, herbs, or planting a border of shrubs and perennials. The time spent building a good weed-free soil base before planting will make the future tending of the bed much easier and rewarding. 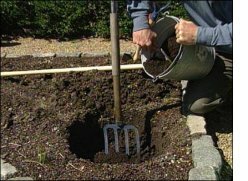 At the very least, you need to loosen the soil to a depth of twelve inches and incorporate several inches of compost or composted manure before planting. Ideally, you would test your soil to see exactly which nutrients your soil is deficient in so you can amend it properly. The soil is a living community and needs to be nurtured. Instead of using chemical fertilizers that add salts to the soil, use organic fertilizers such as the Dr. Earth range or GrowPower, which will not only feed your plants but will return beneficial microbes to the soil to increase fertility. One of the most commonly asked questions at Deep Roots is, "How often do I need to water this plant?" Watering plants can be one of the most confusing and deceptively difficult gardening tasks, and there is no simple answer to this seemingly simple question. 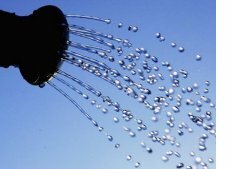 Most new gardeners think that the more water the better but just the opposite is often true. Take the time to learn exactly what the water needs of your plant are and count to 10 before turning on the hose. If you are watering anything daily you are probably watering too much. 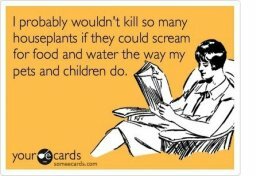 Plants are not like people who need to eat regularly three times a day. Water requirements for plants vary depending on several factors - air temperature, what kind of soil they are planted in, whether they are in the sun or the shade, and what type of plant it is. Watering Rule: Water plants when they need it. Plants with similar water requirements should be planted together. Check that when you do irrigate, the water is reaching the roots. Often we think that plants are getting enough water when they are not. For example when plants are given frequent, small amounts of water such as with a lawn sprinkler, a shallow root system is developed, thus encouraging weak plants. Water deeply and less frequently. It’s best to water early in the morning. And water until the soil is wet a few inches deep. When in doubt stick your finger into the soil, or dig down three or four inches to see if the soil is dry or wet around the roots of the plant. If the soil feels cold or wet - don't water it. Correct watering will create healthy roots and resistance to drought. 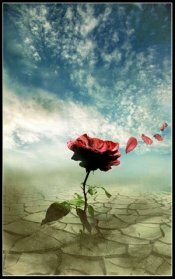 The soil should be watered, not the plant leaves. 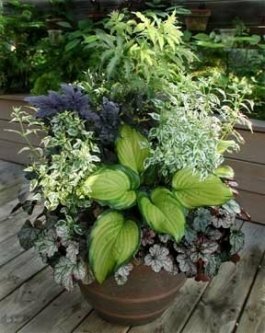 Watering foliage can encourage mildew and other problems. The symptoms of over watering and under watering are very similar. The plant will droop and the leaves will change color. Yellow leaves are a sign of over-watering, a poor drainage system, or a potted plant being root bound. Brown, dry leaves are often a sign of under watering. Always check the soil. And remember, contrary to what people say, roots do not grow down into the soil searching for moisture… they are not that smart. Roots grow where there is moisture, so provide the correct amount of water and your plants will be happy. While we are on the subject of watering… sprinklers should be set so that no water reaches the trunks of your trees. If tree bark gets regularly wet this will soak the bark and allow fungal infections to attack the tree, eventually killing it. Just because you plant it, doesn't mean it will grow. It is almost impossible to grow rhubarb in Texas, cactus outside in North Dakota, or cranberries in Arizona. Since the plant has to grow where it is planted, you will improve its chances dramatically by growing what is native to your area, or areas with the same climate. Most plants thrive in native climates, and growing plants that are adapted to your climate will nearly always result in success. Yet so often, people try to plant water-loving plants in dry summer climates or sun-loving plants in the shade. Many people who grew up on the east coast or northern Pacific coast, or come from Europe, yearn to grow the plants from their childhood, such as peonies, lilacs, cherry trees, pear trees, tulips, lily of the valley etc… Our winters are too mild for these plants, which need a certain number of hours of cold winter chill in order to go dormant. There are some low-chill-requirement varieties of plants available but they do not always flower in our coastal climate. Natives and climate-appropriate plants not only have a better chance of survival and thriving, they require less fertilizer, water, and care; they also attract native pollinators like butterflies and bees. 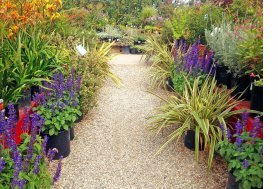 If confused, tempted to try something exotic, or otherwise inexperienced, check with us your local nursery. Like a trustworthy therapist, we can guide you toward a satisfying and fruitful experience. If we want our gardens to bloom continuously, and provide a non-stop supply of fruit and vegetables we need to fertilize the garden and amend the soil on a regular basis. Our coastal soil is very sandy and generally of poor quality, so we need to keep adding organic material to the ground and replenish the micro-nutrients and minerals that our plants need. Chemical fertilizers such as Miracle Grow may make your plants big but they do not feed the soil. Often they lead to a build-up of salts in the soil. Stick to organic fertilizers such as the Dr. Earth range, Gro-Power or Fox Farms fertilizers. They not only feed your plants, but also maintain a healthy population of beneficial microbes that improve your plants' vigor and ability to withstand adverse conditions. Fertilizing more is not always better, however. Often it is worse. There is such a thing as over-fertilizing, or using the wrong kind of fertilizer. Take the time to learn the nutrient needs of your plants and the differences in various kinds and levels of fertilizer. If you feed your tomatoes nothing but fish emulsion you will have lovely big, green plants…but no tomatoes. If you feed your roses lots of nitrogen rich fertilizer you will have lots of lovely rose leaves…but few roses. 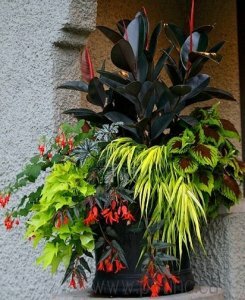 Similarly your container plants need regular feeding. Containers have only so much soil and therefore only so many nutrients. These nutrients wash out very quickly, making it necessary to fertilize the soil often. Also, since containers are generally small, they tend to dry out quickly—especially in the heat. Don’t be afraid to shower your containers with supplements, added compost, or water during dry spells. Having said this, make sure that all containers have plenty of drainage holes. 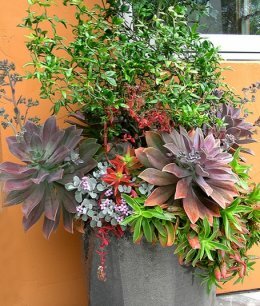 Even though containers might need to be watered daily in very hot weather, the plants will suffer if they cannot drain properly. Many plants, such as roses, herbs, fruit trees, and shrubs love to be pruned. In fact, with many plants, you need to prune regularly in order to promote continuous growth. Regular pruning will promote bushy leafy growth, with a continuous production of leaves. However WHEN you prune is critical. Many trees and shrubs flower and fruit on old wood, meaning wood that grew last year. If you regularly prune these kinds of plants during the Autumn clean up, you will be cutting off the flower and fruiting buds for next year. Hydrangeas are a good example. Many times customers come in to the store during the summer and ask why their hydrangea is putting out lots of green leaves but no flowers. "Did you cut it back last fall?" "Oh yes my gardener cuts it right back every year but we never get any flowers….and the plant never gets any bigger". Well it is no surprise that it never gets any bigger if the "gardener" keeps cutting it down to the ground.! 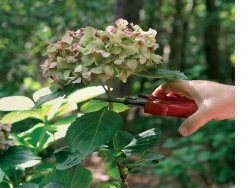 Hydrangeas do not need pruning, unless the plant is getting very old, in which case some of the older canes can be completely removed to encourage new ones. Just cut off the dead flower heads in the winter and that's all. When pruning fruit trees in the late winter or early spring, be aware that pruning at this time of year encourages the tree to put out strong growth, resulting in long straight branches. Pruning at this time of year should be restricted to young trees. If you have a mature fruit tree and you want to keep it from getting too big, prune it in July or August once all the fruit has gone. As the sap is no longer rising at this time of year, new growth will be more restrained. 6. Wrong plant - wrong place. In addition to knowing how specific plants grow in a specific climate, it is also wise to determine which plants will go where. It is imperative to take note of how tall, wide, or aggressively a plant grows and plan accordingly. Unless you have a thousand acres to plant beware of plant descriptions that say they have a “vigorous” or “spreading” habit. You may be delighted when they establish themselves easily, but they may keep on spreading well beyond your intended area. There is no reason to plant a shrub that will get 10 feet tall and 8 feet wide under the eaves, a foot from the house or next to the driveway, and a large plant with substantial root development would not be advisable above any type of pipe system. A vigorous vine that will grow to 60' is not a good choice for a small low wall. Putting the right plant in the right place also reduces pruning chores because a plant can grow to its natural size and shape. Plan your landscape prior to planting with a sketch of fully mature plants or you will be forever battling to keep them smaller than their genetic destiny. By the same token, make sure the plants are well suited to the site. Rookies will plant sun-loving perennials under an old oak tree or shade loving hostas in the open sun (see photo below). They look great for about a week or two, and then die. Plants in the wrong place will struggle to survive and their weakened state makes them susceptible to diseases or insects. Observe your garden space and estimate the amount of sun it gets, taking into account the movement of the sun as the seasons change. Northern facing walls for example may be in total shade during the winter but may get a few hours of sun during the summer. 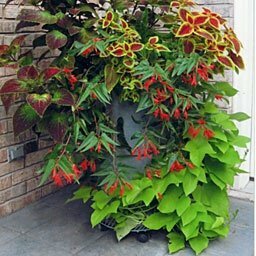 Read up on the light requirements for each plant that you buy. You can learn more about your specific plant’s needs by reviewing the plant tag information or asking your local garden center. New gardeners would also do well to avoid the "I just gotta have it!!!" syndrome. Purchasing plants that require a growing environment you cannot possibly provide is not only costly but frustrating. 7. All Bugs are Bad. Those new to gardening often feel that "the only good bug is a dead bug." NOT TRUE. A healthy garden will always have a population of insect life GOOD and BAD. The key is balance. Remember, the garden isn't your house, it is theirs and most of the insects in the flower bed and vegetable garden are good guys. They may nibble on the occasional leaf or bud but they more than earn their keep by eating up the bad guys and providing pollination services. Less than 5% of the various insects, beetles, spiders, worms and caterpillars, etc., are true pests so "nukeing" the garden with chemical pesticides may do far more harm than good. Use organic pesticides or hand pick large offending bugs such as caterpillars, slugs and snails. 8. Planting insufficient numbers of a single variety. effective and have a higher impact when planted "en masse". 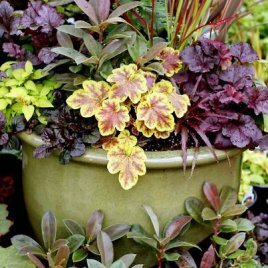 Unless the mature plant specimen will be very big, taking home only one or two pots of a particular specimen is a surefire way of making your garden look hodgepodge. 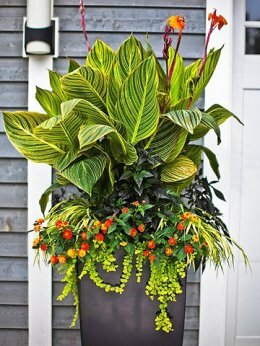 Depending on the size of the pot and the type of plant, we suggest buying at least three of each plant for a unified, well-designed look. 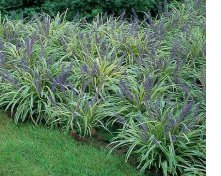 Shrubs are different in that they will grow to be pretty big and you usually only need one, but plants such as liriope, irises, daylilies, grasses, bergenias, heucheras, angelonias, and any small flowering plant should be planted in groups of three or five or even 7. Mass planting reduces maintenance by minimizing weed growth. It also creates drama by drawing attention to the area. Staggering or grouping plants together as opposed to lining them in rows is usually much more appealing. Mass planting is a great choice for adding quick color to empty areas. We often tell our customers that every flowering plant is beautiful at its prime — full of lush, abundant blooms… but how does it look for the rest of the year?'" 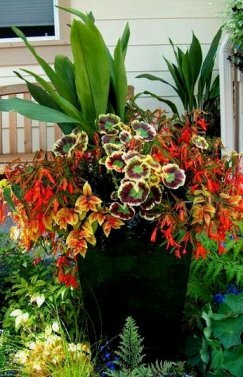 Before you buy, consider the plant's leaf color and structure. Plan your flower garden so that it looks spectacular when NONE of the plants are in flower. Treat flowers as a temporary bonus, but concentrate on foliage color and shape. 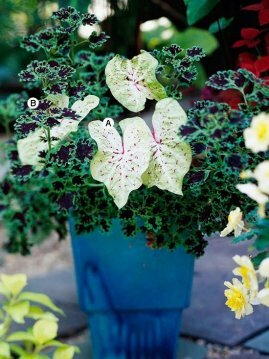 Include specimens with spectacular color foliage - plants such as coprosma, spirea, heucheras, phormiums, liriope, vincas, artemesias, and other plants and shrubs with variegated leaves, or decorative grasses, to help keep beds interesting when flowers are not at peak. Don't try to do it all yourself. Ask a lot of questions of nursery staffers. Seek out a local nursery (such as Deep Roots) with a knowledgeable crew who is passionate about plants Such establishments as ours are often more adept at knowing what grows best in your region than the big-box stores. A common misconception is that "here in southern California we can grow everything all year round". It is true that in Southern California we garden year-round, but here at the beach we do not grow everything all year round. Because of such variables as heat, cold and daylight hours some plants do better in summer and some do better in winter. We plant cool-season (or “winter”) crops and flowers in fall, and we plant warm-season (or “summer”) crops and flowers in spring. However, Fall is the time when we should also be looking ahead and planting for spring or, alternatively, we should be planting permanent climbers, trees, and shrubs for the future life of our garden. Except for tropical plants, this is the best time of the year to put in many shrubs, perennials, and trees which, planted now will benefit from the still-warm soil and will grow a strong root system before colder temperatures come along. They will have more time to adapt to their place in your garden, and come spring will leaf out and bloom more vigorously than plants planted next spring. 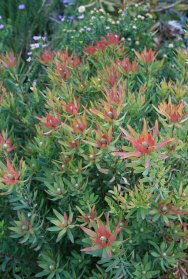 Much of our best seasonal color comes from permanent woody plants and shrubs. Among fall blooming trees are Chinese flame tree (Koelreuteria elegans; K. henryii), floss silk tree (Chorisia speciosa), and Metrosideros "New Zealand Christmas Tree". 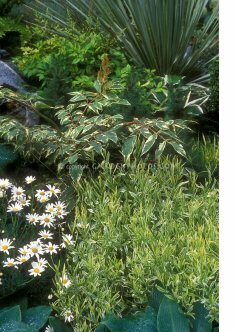 Among climbers are Hardenbergia ‘Happy Wanderer’ and flame vine (Pyrostegia venusta), and among colorful shrubs are Copper canyon daisy (Tagetes lemonii), firethorn (Pyracantha), Leucadendron "Winter Red" (see photo below left), mallows, and hibiscus. Fall blooming perennials include salvias, asters, and Japanese Anenomes. My message to you is start now, in fall, to plant for your April garden. 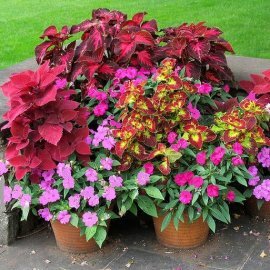 The colorful plants you put in now from plants and seeds will begin blooming in late winter and continue blooming into June, in some cases all summer. So plant now for winter and spring. - The quickest way in the world to dry herbs: - just lay a sheet of newspaper on the seat of your car, arrange the herbs in a single layer, then roll up the windows and close the doors, leaving the car in the sun. Your herbs will be quickly dried to perfection. What's more, your car will smell great. At $22 for a regular box or $17 for a mini-box it is great value. 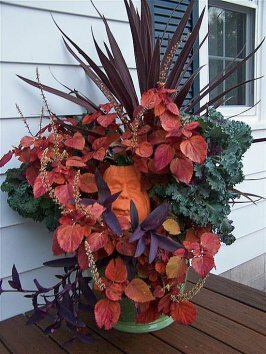 The imaginative use of containers is an excellent way of prolonging the growing season. 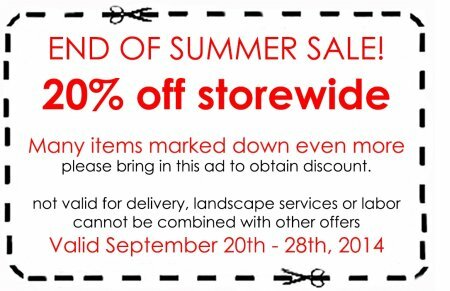 Many plants are suitable for a fall display, including wide range of evergreens, small deciduous shrubs (for foliage and berries), late-flowering perennials such as asters or sedum, and ornamental cabbages. 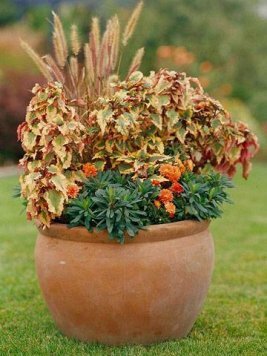 Check that the pots are clean and attractive in their own right because now, in the fall, as the plants start to die back and they are less lush and abundant, they can become a prominent feature. Stone troughs always look good even when the plants have died down. 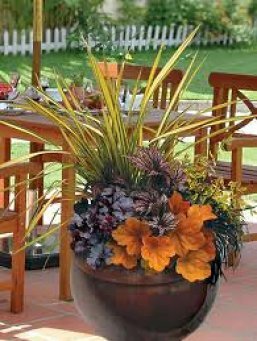 Galvanized steel containers and buckets add a bright, modern look, and look good with plants whose leaves turn reddish-purple, or evergreens with shapely, shiny leaves. 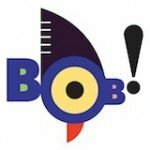 Here are a few combinations to spark your imagination. 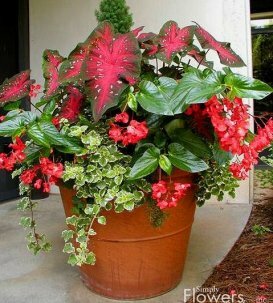 If you are using plants such as coleus, begonias, or impatiens be sure to mix a handful or two of a slow-release fertilizer such as Osmocote into the top layer of soil as you plant. This will feed the plants over the entire fall season.